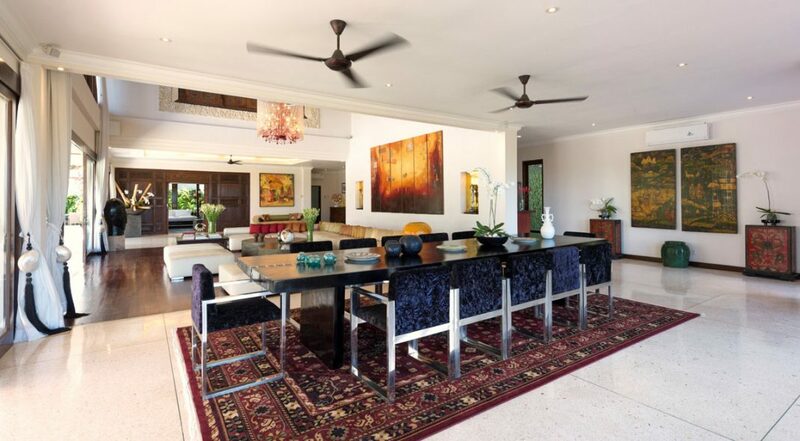 Huge luxurious holiday villa in Canggu - rent this now! 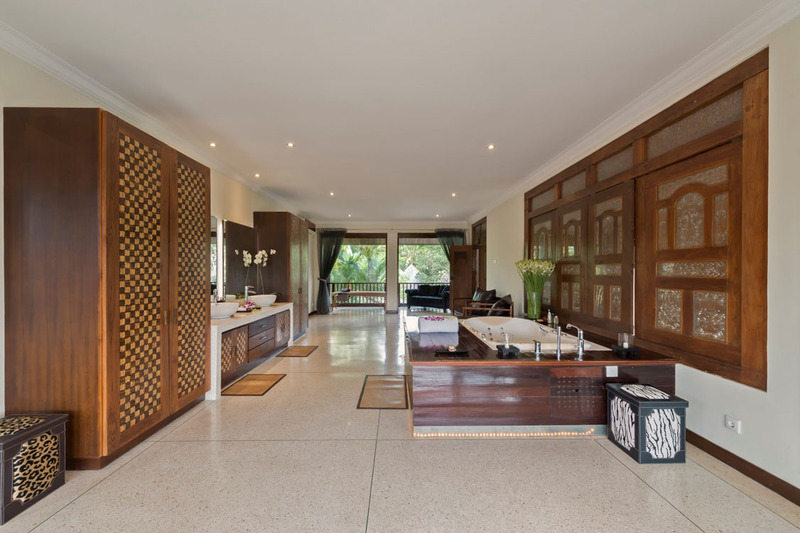 Villa staff to cook and clean every day – this is where you come to be totally pampered. 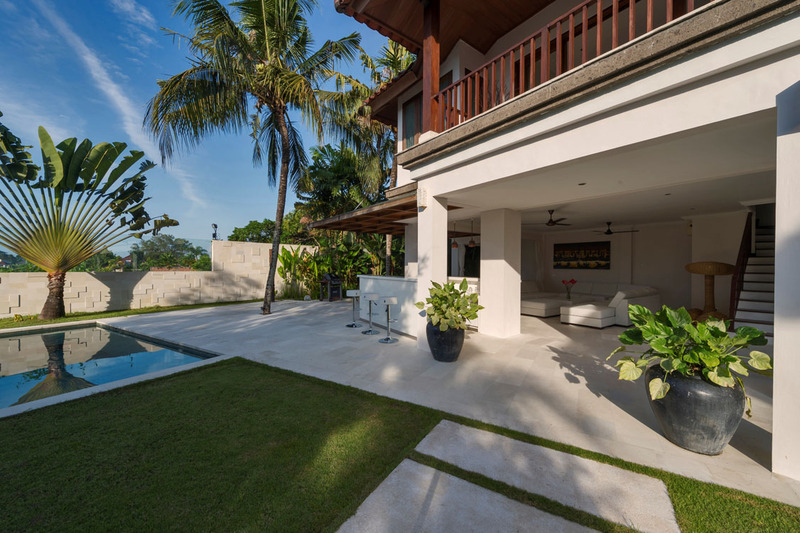 Located just a few hundred meters back from the the glistening sands of Echo Beach, Villa Manis is a fabulous 8 bedroom Canggu holiday villa rental boasting expansive gardens and 2 private pools. 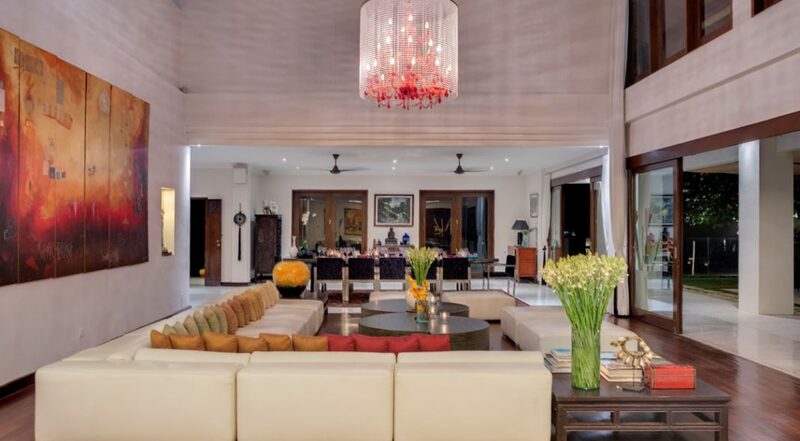 The villa is decorated with furnishings and art of grandeur, rarely seen on such a scale in a beach side holiday villa. 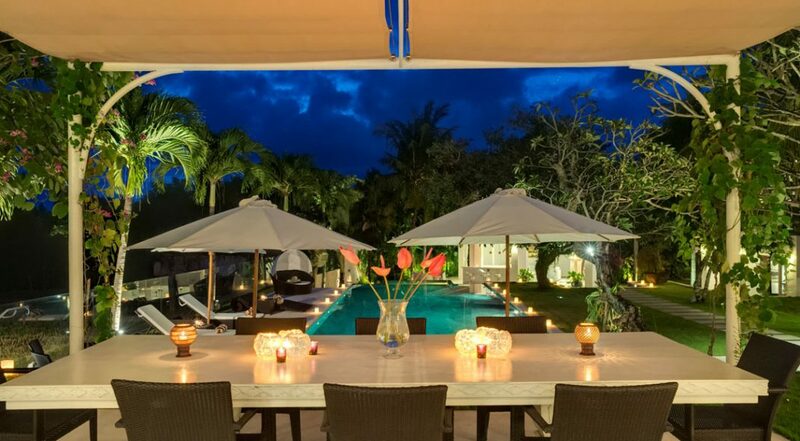 This is the perfect holiday accommodation for an extended family reunion, special event, wedding or group of friends wanting to enjoy Bali together. 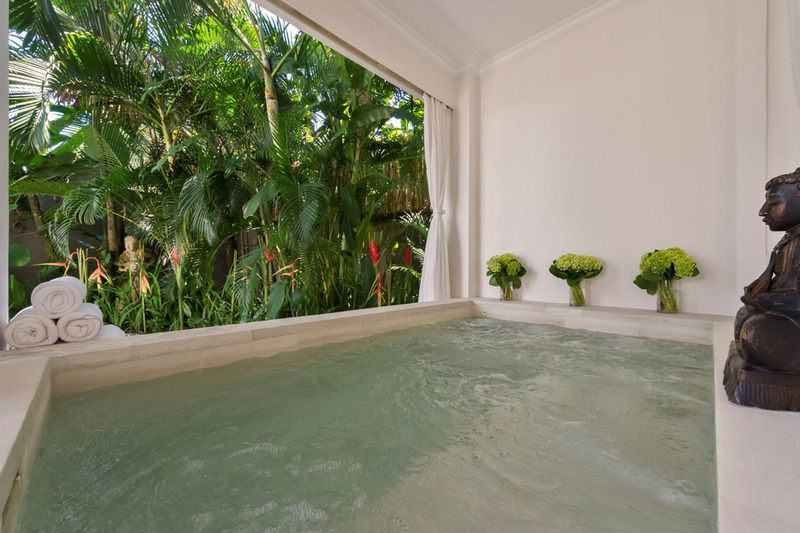 The outdoors are a holiday playground of never before seen luxury, with views across neighbouring rice terraces, guests will enjoy two infinity pools, the larger 17 metres in length flows into a second pool, ideal for kids with shallow sections. 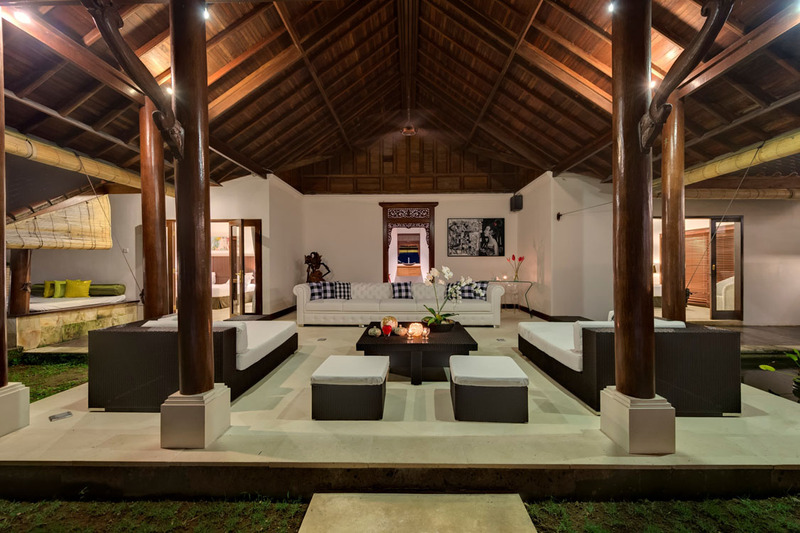 There are couches, daybeds and recliners offering relaxing spots to mingle or just unwind under the warm Bali sun. 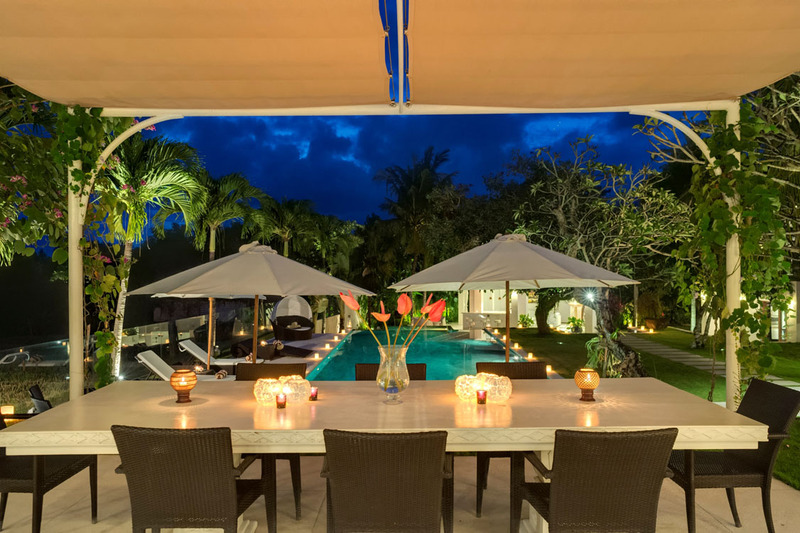 For alfresco dining there is a setting for 8 guests, a separate pool bar area with chic white leather sofas as well. 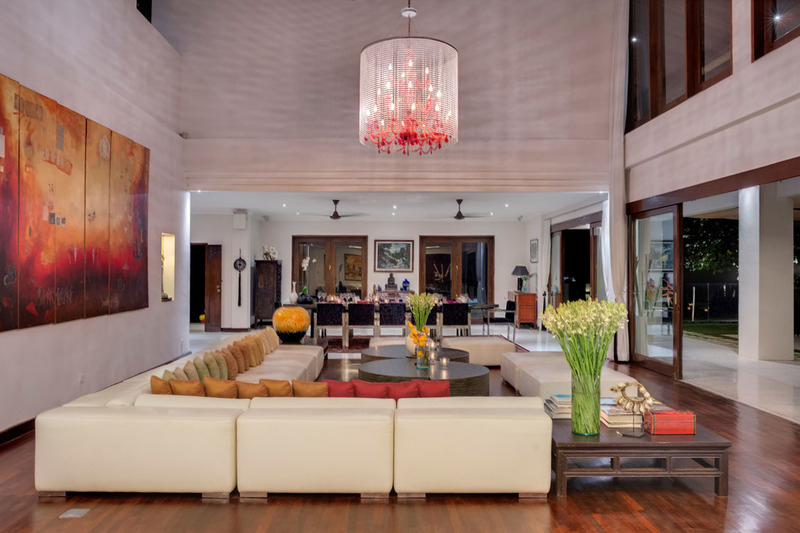 The villas interior is quite splendid with a main feature being the stone and timbered ceiling in the main living hall with its huge sofa and dazzling chandelier. 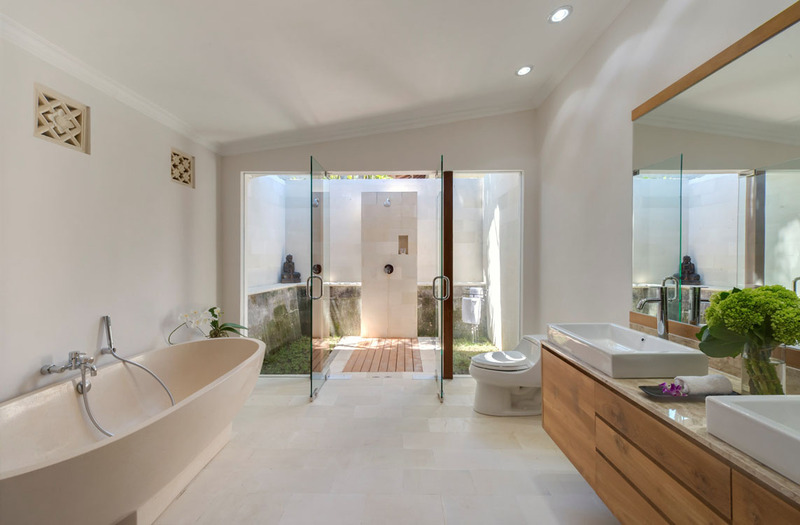 The area is enclosed with a custom designed glass walled entry that opens to the gardens. 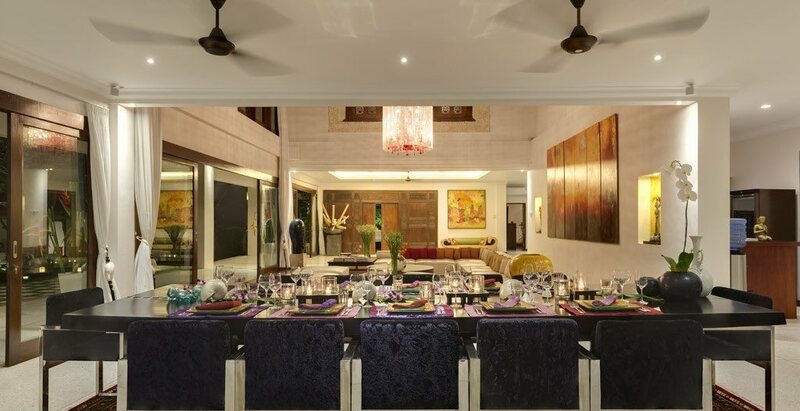 The formal dining area seats 12 guests with elaborate dining chairs. 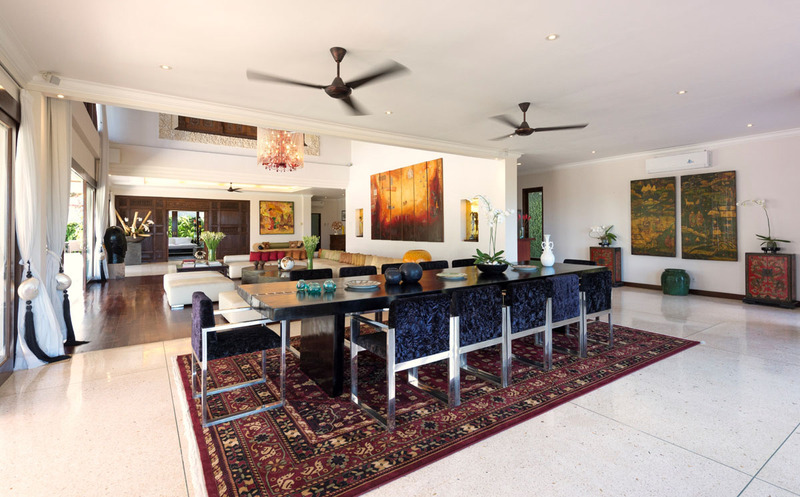 Large ceiling fans maintain comfort and the large glass panels can be opened to allow cooling sea breezes to flow through. 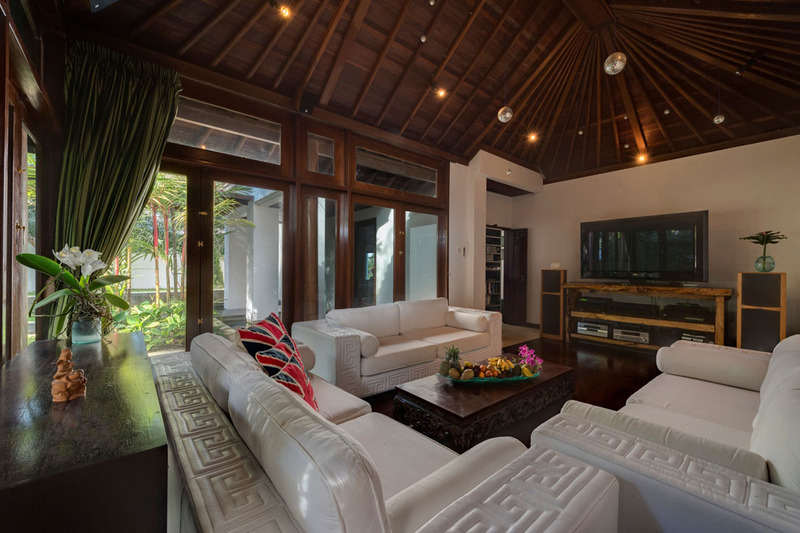 A smaller air-conditioned lounge doubles as a media room with a huge plasma TV. 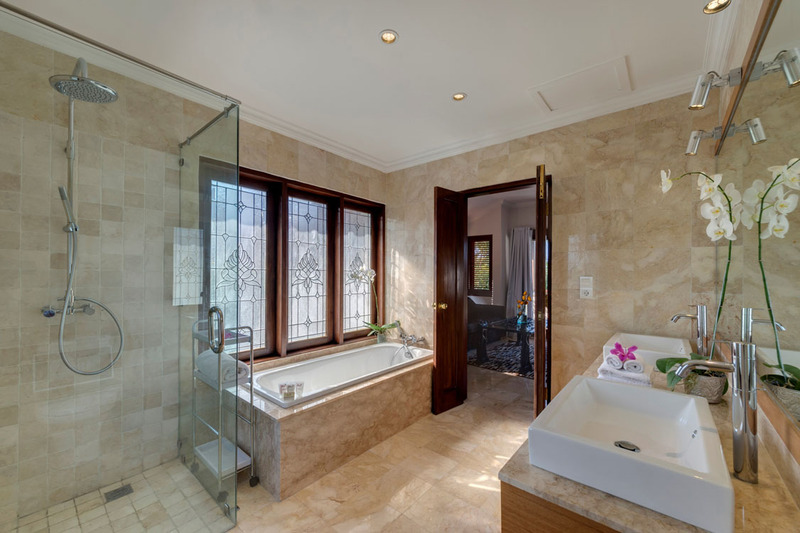 The bedrooms are opulent, chic, oversized and luxurious all at once. 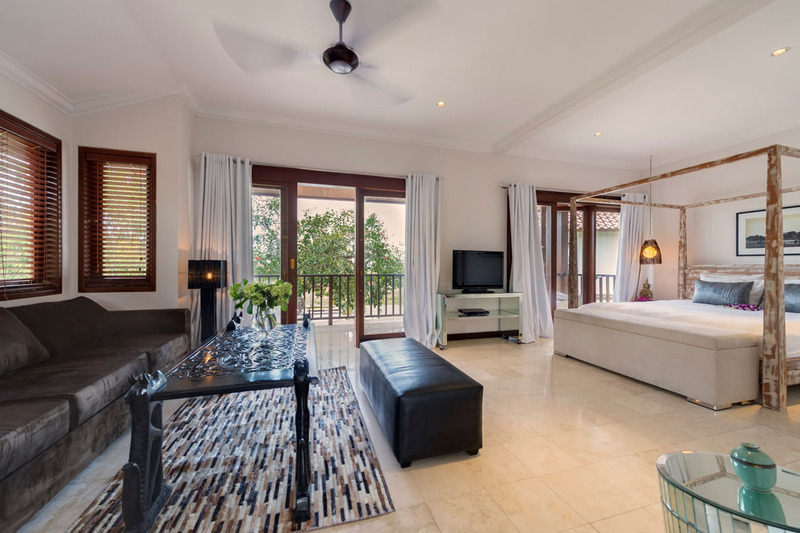 Rooms feature a mix of huge king sized beds and twin beds that can be configured to kings with private lounge areas to watch TV, private patios and balconies and spacious en-suites with huge soaking tubs, twin vanities and rain showers. 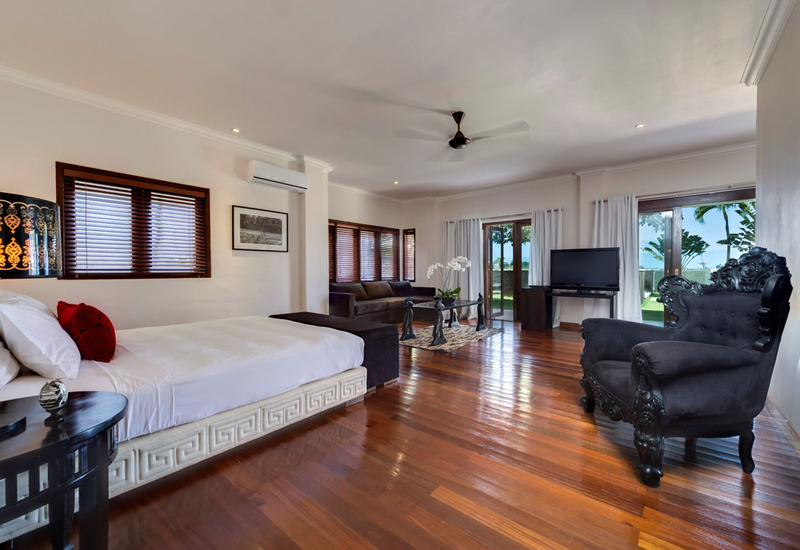 The villas professionally trained staff will be ready to serve you from the moment you walk thought the door. 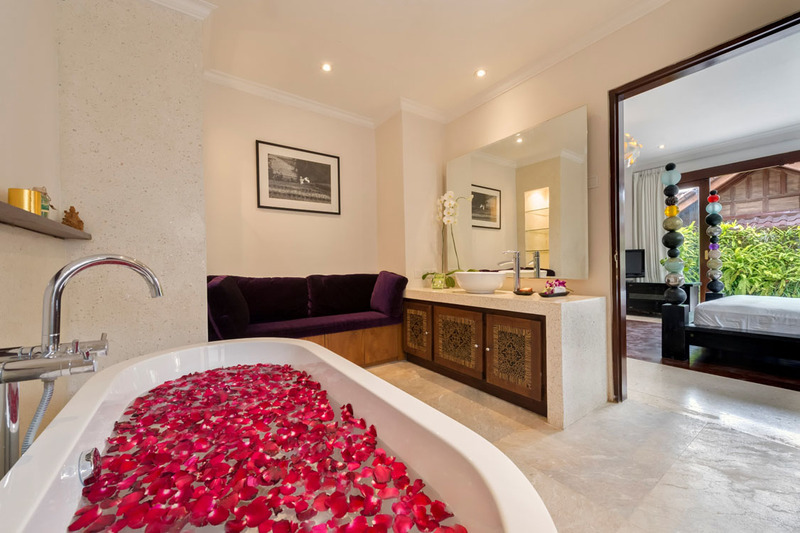 You will be looked after by the villas manager as well as a team of butlers, private chefs, chauffeurs, house maids, gardeners and security. 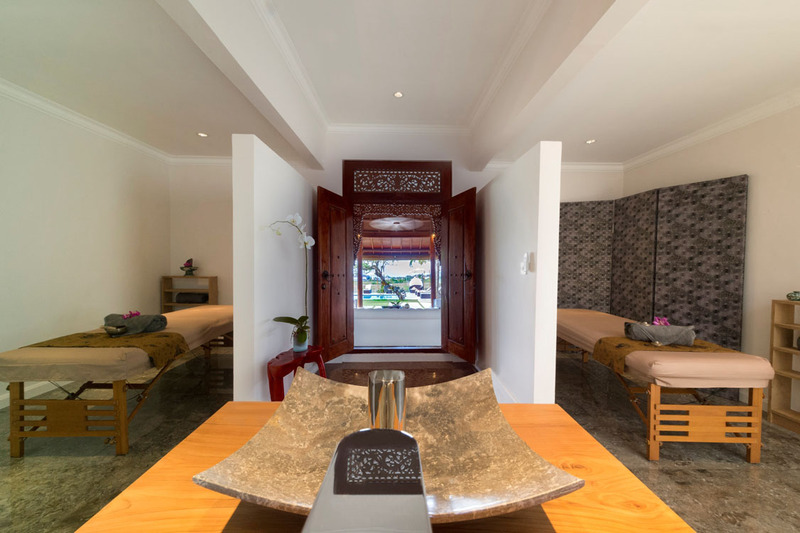 You can also request the services of babysitters, laundry services, spa treatments and scooter hire. 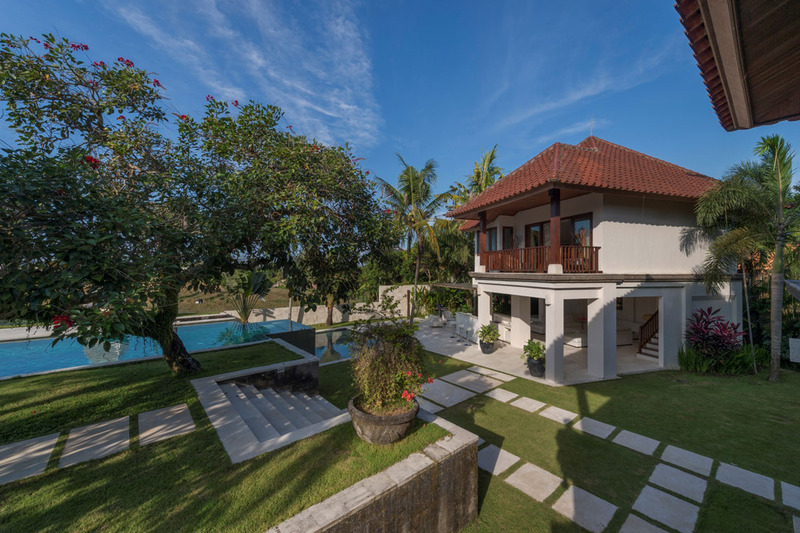 Located in beach side Canggu the villa is just a short walk to the beach where you can walk a short distance along the sand to Echo Beach which is a hive of activity for surfers, there are lots of great cafes, warungs and a seafood BBQ here in the evenings. Try a horse trail ride on the beach at sunset or spend an afternoon at Finns Beach Club with the kids or take the to the brand new Pretty Poison skateboarding and roller blade park. 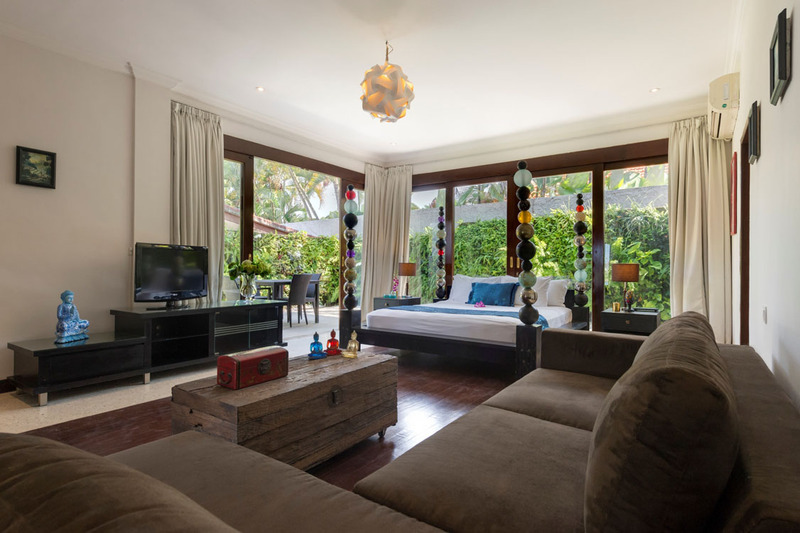 This is the ideal villa if you really want to be in the thick of all the action in trendy, vibrant and exciting Canggu. 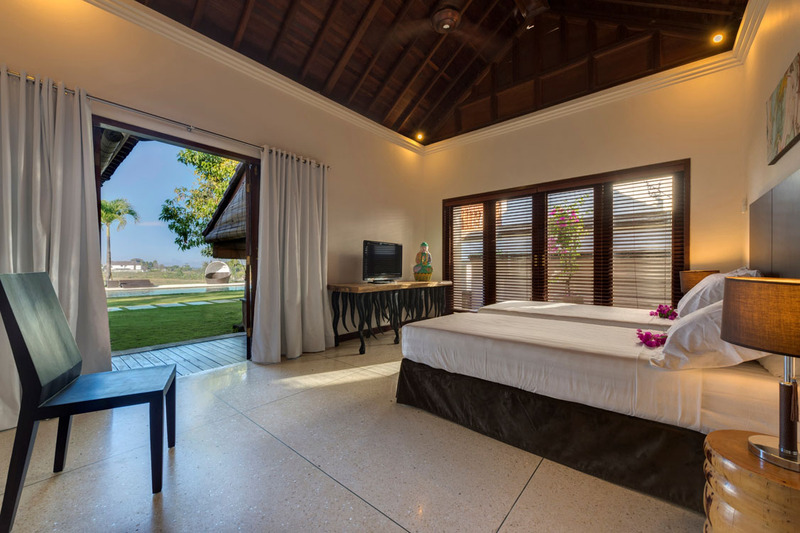 To view other beach front Canggu villas or view our full range of Bali villas please browse this website or contact our reservation team. 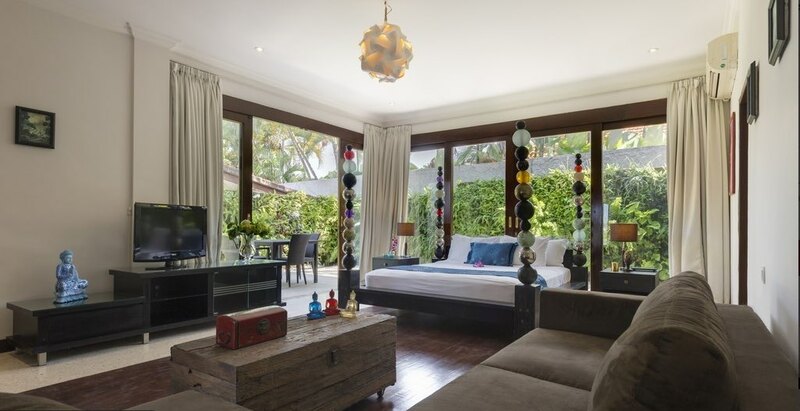 This is a popular Canggu villa, so please book Villa Manis well in advance especially if your planning a trip to Bali during the Australian school or public holidays. 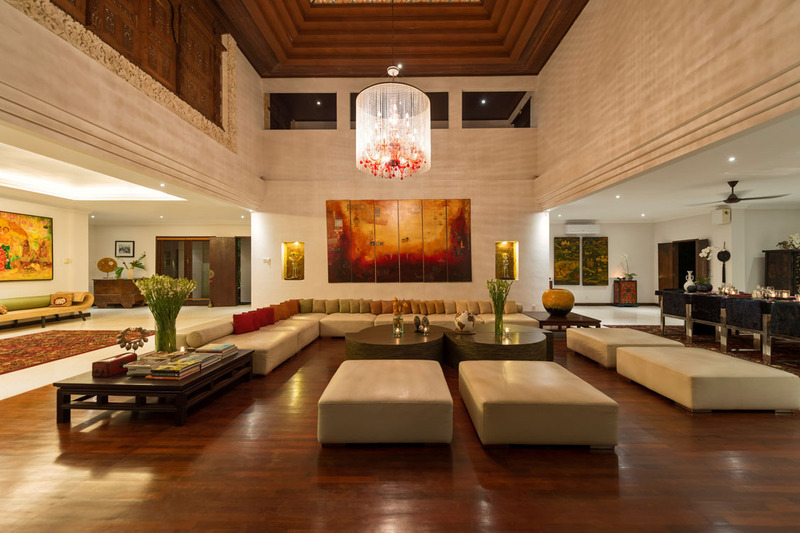 Air-conditioned living and dining room; media room; open-sided pool lounge with bar & open-air lounge. Staff : Villa manager (who will be more than happy to organise tours, dinner parties, BBQ nights and in house spa treatments and massages); villa supervisor, private chef, housekeeping, security. 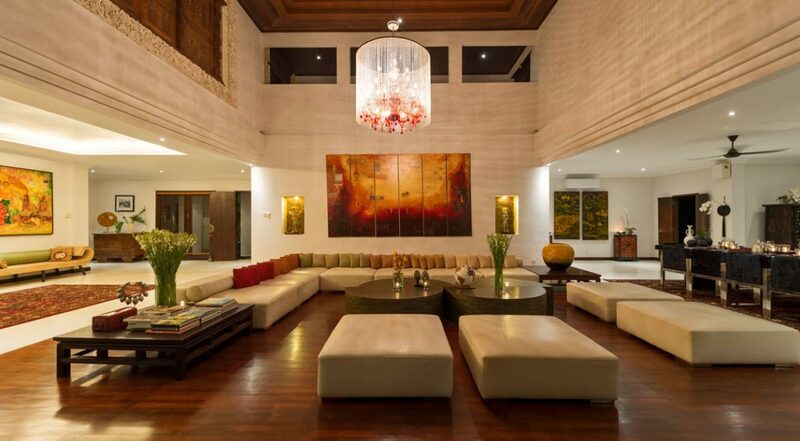 An amazing villa in a quiet area. We came here over the Christmas period and loved every minute we spent here. 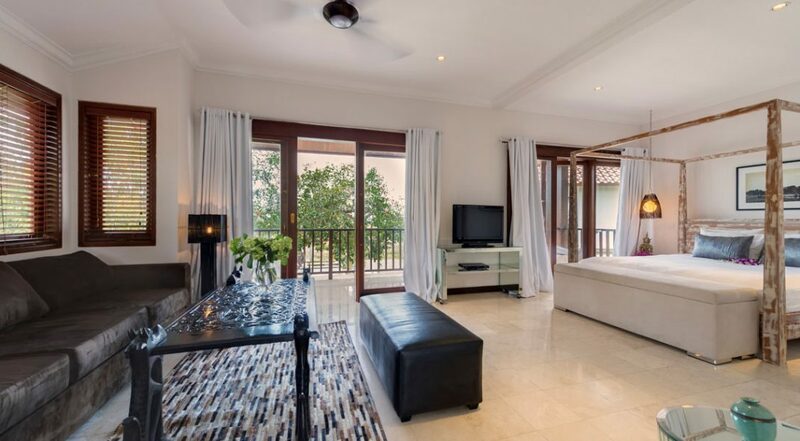 Lots of room and space for privacy and we absolutely adored the villa staff who were unbelievably friendly. The chef was on hand to cook us meals every day and we especially liked those healthy breakfasts. 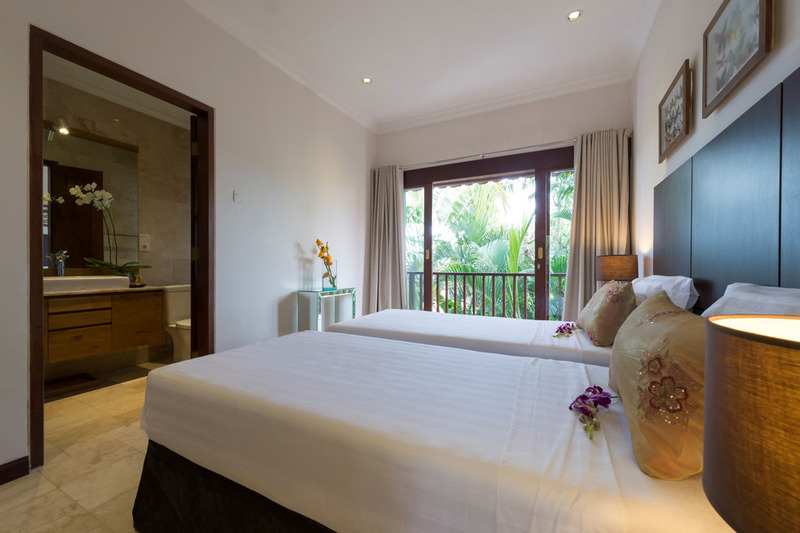 Canggu and Seminyak were close by and we found ourselves making daily trips there for shopping and dinner. 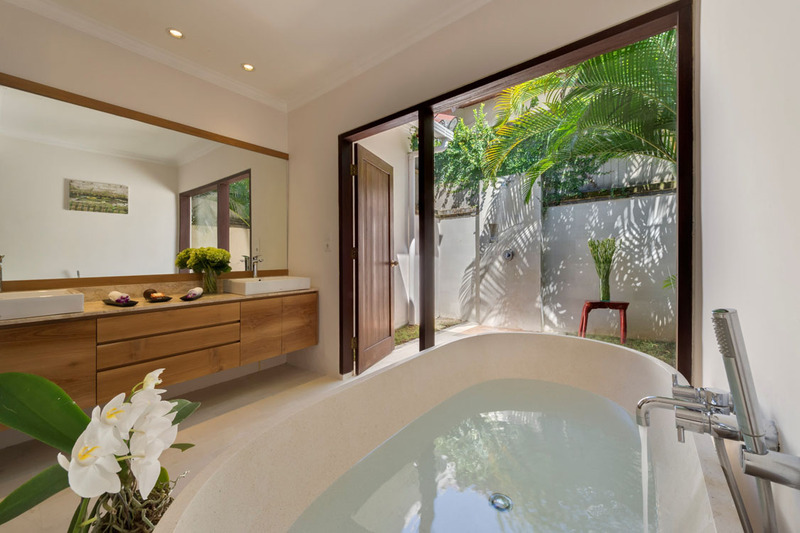 We couldn't wait to get back to our own tropical piece of paradise. 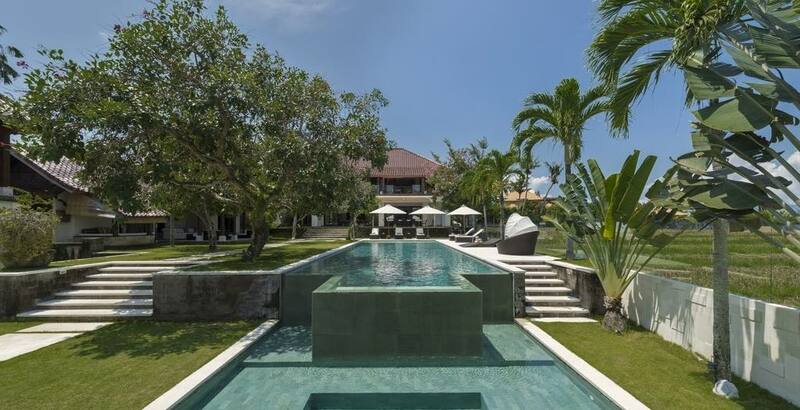 Villa Manis is an amazing experience and we both highly recommend it to any family wanting tranquility, privacy and to be spoiled beyond belief - it's a 10 out of 10! 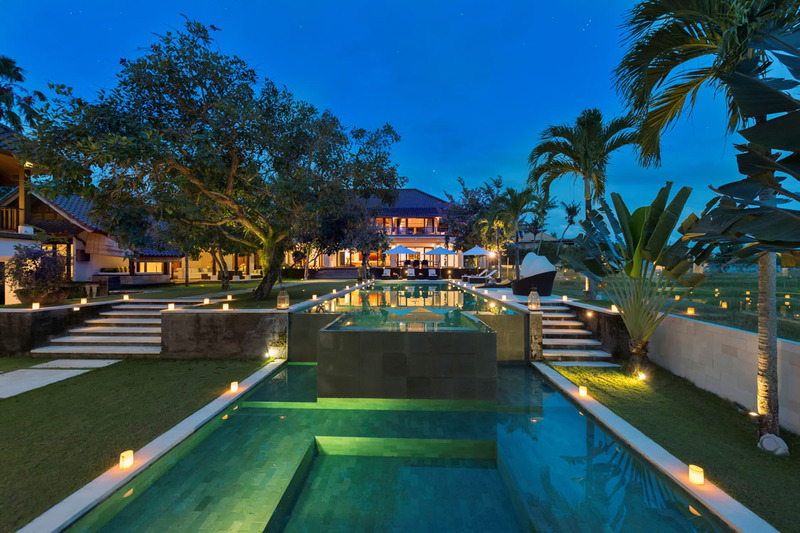 Sensational is the only word I could use to describe Villa Manis. We came here with another family for a week's holiday and the place is simply stunning. 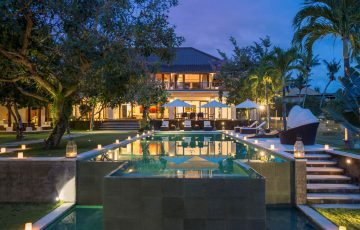 Everything including the villa staff was 5 star. 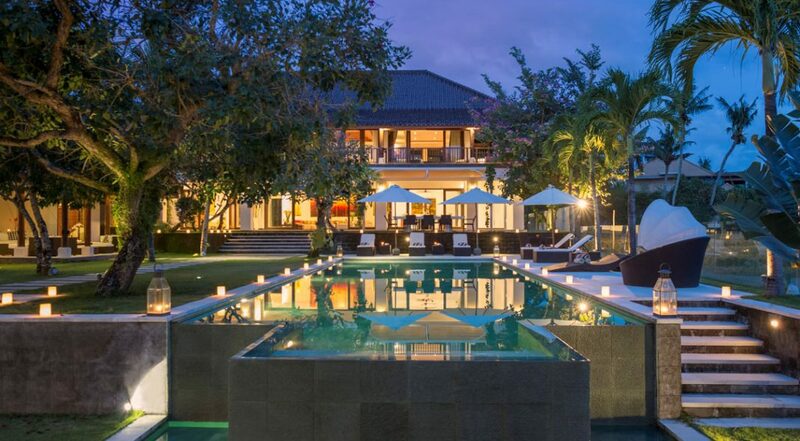 If your looking for a luxurious villa then this is it. 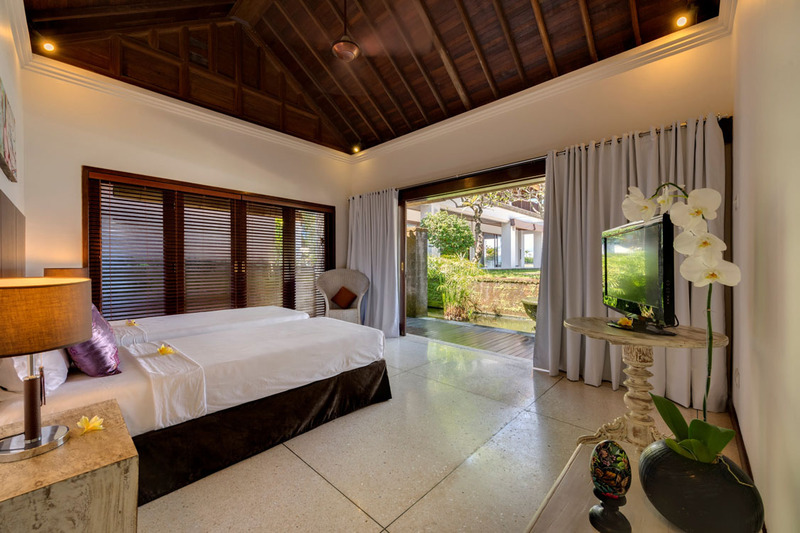 To everyone at Villa Manis thanks so much for the best holiday ever.